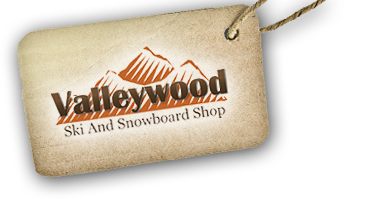 Valleywood Ski – Cloud Seeding Can Help Increase Snowfall, but Should it? The question some individuals are having is could cloud seeding help increase snowfall, and if so, should we utilize this technology. But as the name suggests, you first need clouds to seed. And not just any clouds—they must have water drops of a certain temperature that need a little help turning to ice crystals and falling to earth. The seeding agent is silver iodide, an inert chemical compound that is structurally identical to an ice crystal and promotes that formation. Believe it or not, cloud seeding has been around for 75 years but has spent most of that time on the outer fringes of “real” science and largely misunderstood. Everyone from environmentalists to meteorologists have tried to poke holes in its safety and efficacy. It didn’t help matters that some of the ways in which seeding has been used have felt like a colossal waste of resources—like the time China tried to blast precipitation out of the sky before the 2008 Beijing Olympics to ensure a dry games. All told, there isn’t so much a hot debate about cloud seeding as there is a struggle for validation. Busto admits that indifference is a major hurdle—convincing people that 10 percent more snow can really make a difference. The ski and snowboard industry is largely unaware or unmoved. Even pros associated with Protect Our Winters (POW) like Jeremy Jones, as well as Ryland Bell and Gretchen Bleiler, are unfamiliar with how it works and where it’s being done. Perennial eco-warrior Patagonia also has zero official stance on cloud seeding. Even despite the measurable increase in snow at Winter Park, Doug Laraby admits that the average skier or snowboarder is largely unaware of the seeding done there.